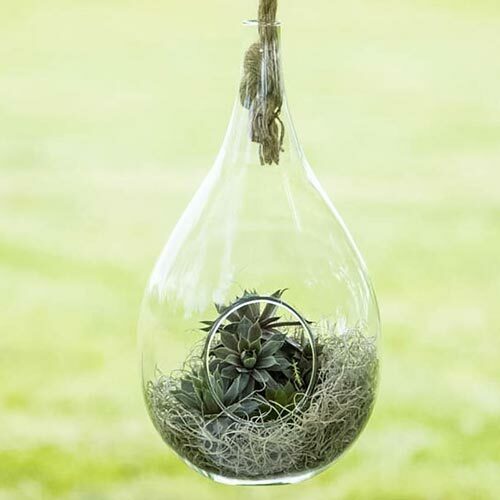 Brighten up the corners of your home with our new and unique glass elliptical planter. 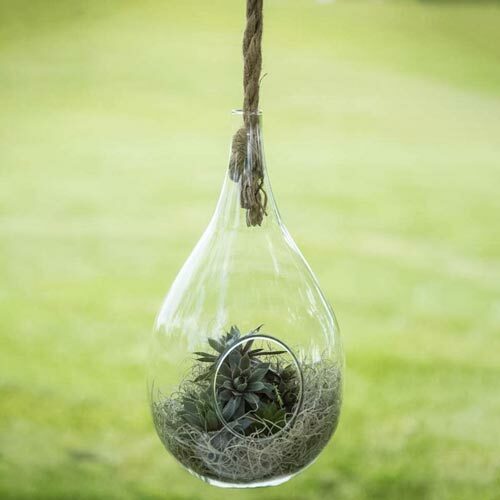 Specially designed to add a sleek, stylish look and feel to any room, it is perfect for showcasing displays of stones and plants, such as succulents and tillandsias. Features a generous hole in the front to make arranging items, watering and cleaning a snap. 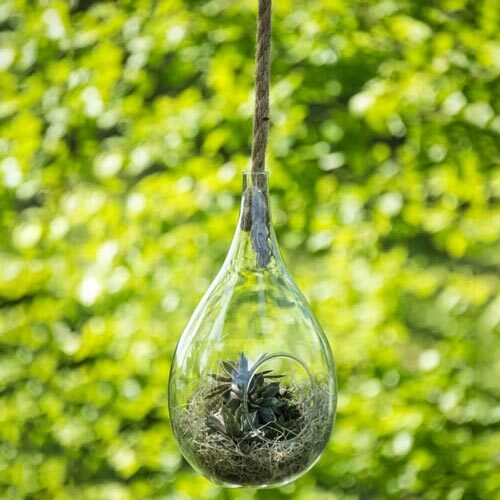 Includes a pre-knotted rope for easy hanging, and gives the overall look a slightly nautical motif. Can also be used to display seashells, colorful marbles and other small collectibles. 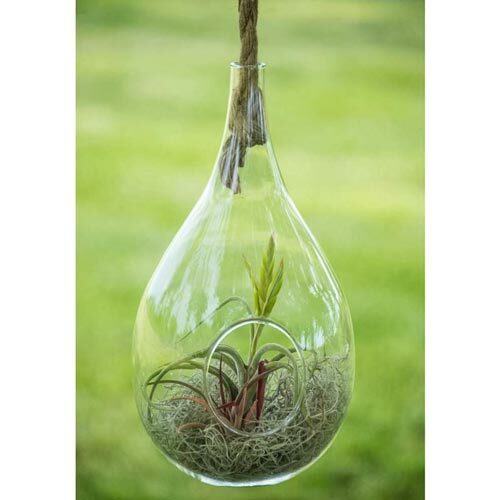 Makes a great gift idea when paired with tillandsia or small sedums. 13"Hx7"Wx7"D without hanging rope.